Great Bay Products, Inc. – Florida Based Manufacturer and Distributor of Plumbing Related Products Made in the U.S.A.
Great Bay Products, Inc. - Made in the U.S.A.
Great Bay Products, Inc. manufactures and distributes plumbing related products that are used for pipe protection and testing. All products manufactured and distributed by Great Bay are made in the U.S.A.
Our sleeve formulation is compatible with all piping systems including CPVC, Copper and all plastic pipe. Great Bay Products, Inc. manufactures QUICK BIBB. Sillcocks will no longer be the weakest part of an exterior piping system. 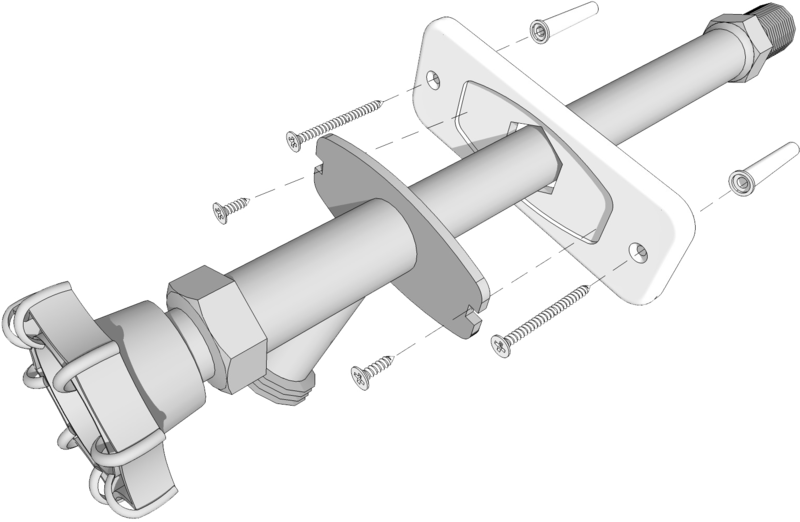 QUICK BIBB attaches directly to the exterior of the building to secure both the pipe and sillcock to any building structure. 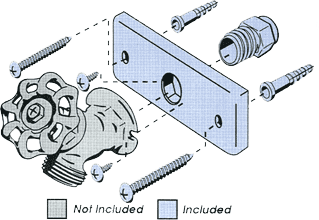 Great Bay Products, Inc. also produces high-density polyethylene strapping in widths of ¾" and 1" and can be used with PVC, galvanized, or copper pipe. 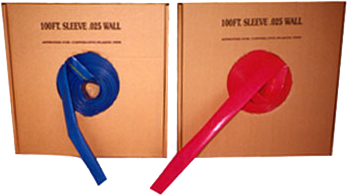 Our 1" strap can be used to hold heat and air conditioning ductwork without fear of breakage or stretching. Roll sizes are 10', 25', 50', and 100' and is also available in 1,000' and 2,500' spools. Our PVC DWV Test Caps are produced in 1 1/2", 2", 3", 4", and 6" sizes. We also produce a 1 1/2" x 2" and a 3" x 4" dual combination cap. For pricing information on any Great Bay product, please see the associated pages. Minimum orders of $100.00 will be accepted. UPS orders will ship FFA. All ordered shipped truckline will be FOB St. Petersburg, Florida. For additional product information on any Great Bay product, please visit our Contact Us page, call us at 727.527.6080, or email sales@greatbayFL.com.